Bloodline Forums / Re: Chapter 2 Previews and Discussions! The official link will be be in the characters section, when it's done. Enjoy! Can you give us an estimated time on when you will update the character page for chapter two? That's actually been on my list for a little while. As you know I typically use screen shots from the comic for the character's bio images, so I've been putting off chapter 2's character page so I have better options. At this point, I think the only thing stopping me is the fact that I'm still trying to get the updates back to Wednesdays. A solid ETA is a little difficult, but I can easily say between now and the end of October. The sooner I catch up my updates, the sooner I'll have the "characters" page up. Bloodline Forums / Re: A place for bugs and tech issues. The plan is to return to Wednesdays, but last Friday I fell quite ill and couldn't work on the comic. But no worries, I'm recovering, and as of yesterday I'm working on the comic again. In case you missed it, I posted a news update on the homepage, just click on the logo at the top of the screen and scroll down to where the comments should be. I always update it if something changes, so it's a good way to know what to expect. As far as the commenting goes... I don't know much about what could have caused that, but in the past we've had problems with the spam filter. I just downloaded some bug fixes a few seconds ago, so try again and get back to me. If you still have problems, I'll ask my website guy about it. Bloodline Forums / Re: Q&A Chapter 1 end-Chapter 2 start. The fate of Ember. So what happened to Ember after the end of Chapter one? Did she make it to her destination or did she possibly die a horrible death in the forest? What fate did she meet? Crippled and bleeding as she was it would be hard to trek through the forest. Or is she alive and to return in chapter 2 as a character which the new ones interact with? Without confirmation on her fate I will assume she died of one of the fates that may include but are not limited to one of those listed below. Monsters which may include but are not limited to the tentacle variety and other mythological creatures who's existence we have no confirmation nor denial of. If we could have a look into what fate befell Ember that would be great! No worries, I haven't forgotten about Ember! 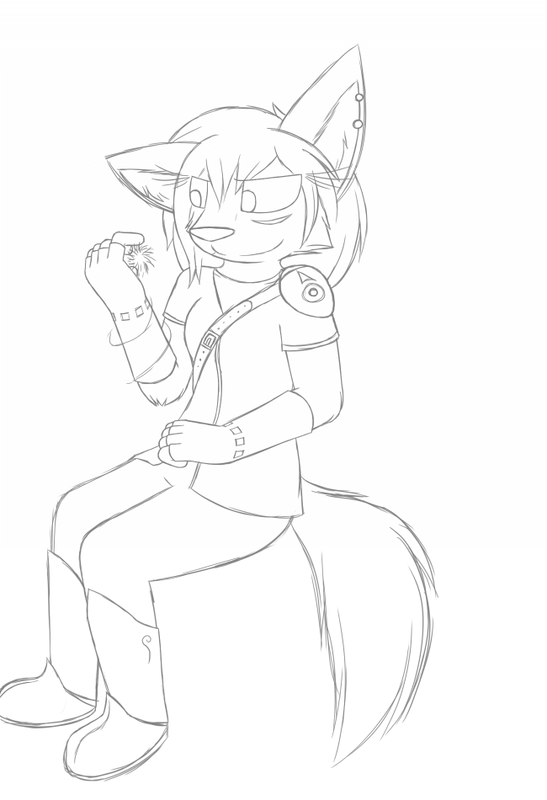 In time I will reveal her (and Bernin's) fate, but the main priority is to tell the story in the best way I can. Alright, Chapter 2 has officially started! Hey w0lfmare do you have an FA account? Nope, I just use Deviantart. We don't need cats here, especially tigers! 2. was ember given her clothes by someone? they seem oddly nice compared to other people's clothes! Ember's siblings got hand-me-downs from Flint, same with Lupa's pack. Flint had to go out of his way to get Ember's clothes, which were obtained through his "connections". As for the design, it's actually something that carried over from her old storyline. The name of Bloodline's world is Sai-vay.